I have my daughter Lauren for our summer week together and, being the junior cinephile that she is, we’ve already watched a lot of movies. We’re both fans of the double bill concept, a concept being kept alive (in our city) by the Cameo Cinema alone where every Sunday they commit screen 1 to a double feature. There’s a great article on this very subject in SIGHT AND SOUND magazine this month where they reminisce about the heady days of the now extinct Scala Cinema in London, long famed for it’s eclectic and hand picked programmes that included some cracking doubles and all night horror-thons. The Cameo has put on some good stuff too, a double Antonioni of BLOW UP and THE PASSENGER springs to mind and of course the time they showed GROUNDHOG DAY….. Then showed it again, god they’re clever. If you’re Edinburgh based, you could do a lot worse on a Sunday than breeze along at 1:30, not to see the light of day again until about 5 o’clock. This is particularly good in the dead of winter as it renders your daylight intake for that day to around 20 minutes. Last night we turned my room into screen 1, Lauren picked the first picture and I selected a second that would hopefully (it’s all about keeping the kids happy after all) compliment her choice. 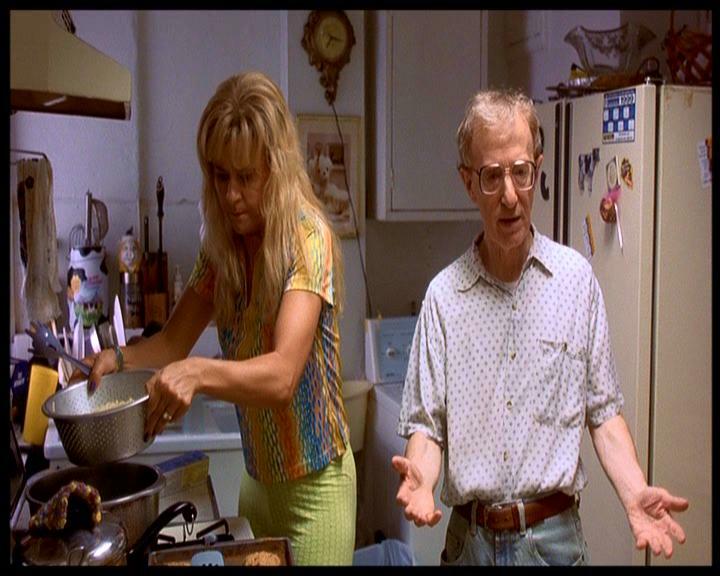 Much is said of Woody Allen’s later work being a sorry comparison to the halcyon ANNIE HALL or MANHATTAN period. Whilst I agree that some of his recent work hasn’t been quite to the standard, as a whole, of his earlier pictures, I would argue the point that there’s enough good in his later work to justify the continuation of his filmmaking career. Two examples I can think of off the top of my head would be the wonderful dance scene between Woody Allen and Goldie Hawn at the end of EVERYONE SAYS I LOVE YOU (1996) or the Robin Williams “out of focus” scene in DECONSTRUCTING HARRY (1997) . These films are both over 10 years old of course but I still think they qualify as recent considering the length of his career. More on his post Millennium output in an upcoming post. 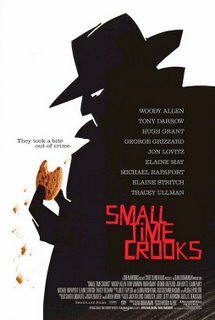 SMALL TIME CROOKS is the story of Ray (Woody Allen) and Frenchy Winkler (Tracy Ullman) who are a couple living in Manhattan. No real surprise there. Ray is a guy who has spent his life running scams, doing jobs and is basically, as the title of the picture suggests, a small time crook. We quickly learn that he’s spent time in the joint (Jail, done bird / porridge) as, on arriving home with a box of ulterior motive chocolates for the long suffering Frenchy in the first scene of the picture, reveals he wants to rob the local bank. Frenchy is vociferous in her complete ridiculing of this idea as he’s 1: Already spent time in jail and 2: involved and working with a less than skilled bunch of collaborators. 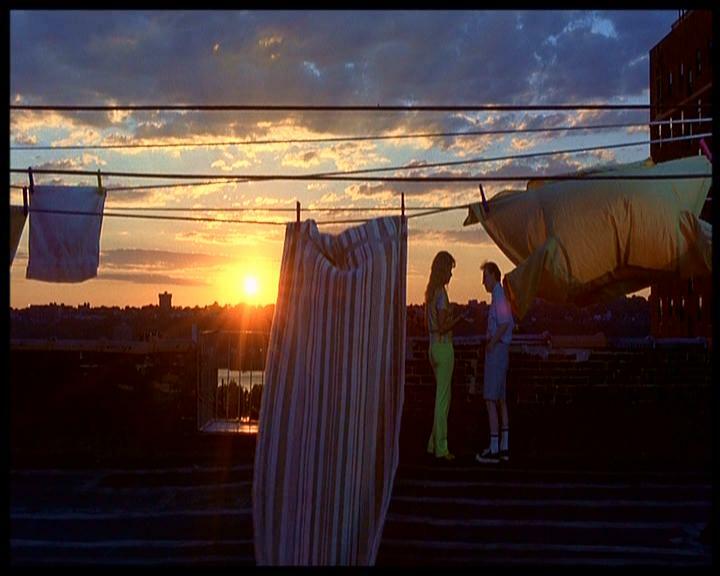 In one of the most beautifully photographed scenes in the film, shot on the rooftop just before sundown, he talks Frenchy into staking their life savings on the rental of a shop situated two doors along from the bank to use as a front for the upcoming heist. How are they going to get into the bank? Think THE GREAT ESCAPE, ESCAPE TO VICTORY or THE NAVIGATOR. As is usual in Ray’s life, the plan goes awry but the cookie business set up in the shop by Frenchy to conceal the highly shady goings on in the basement turns into an overnight success and becomes a massive money-maker for the couple. This is where Allen flips the picture on its head. The second half is still comedic but serves as a veneer for a quite tragic parting of ways for Frenchy and Ray. Ray, being true to his roots does not let their new found wealth alter his outlook on life but Frenchy sees the affluence as a gateway to society, the key to being accepted by the upper classes. This is where Hugh Grant comes into the picture. He’s nothing more than Hugh Grant playing the typical Hugh Grant character in any other movie but it definately works here. His foppish mannerisms are in direct contrast to Ray’s, which drives a further wedge between the two as that’s the kind of man Frenchy wants to compliment her reinvented personality. What I love about this relationship dynamic is it’s the opposite of the one seen in MANHATTAN, still my favourite Woody Allen picture. 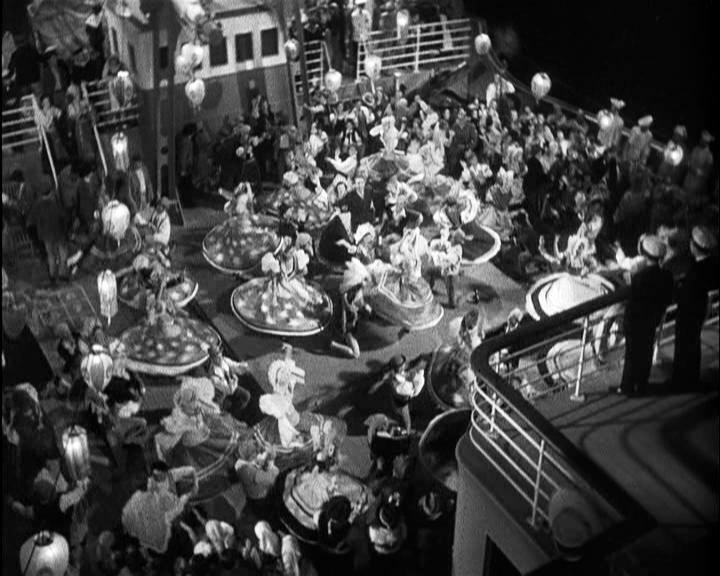 The scene below is an example of the changing styles, changing personas of Ray and Frenchy. Notice how Frenchy, as much as she tries, is obvious in her superficial attempts to become “one of them”. From wanting the truffles shaved thick, (check the look on the chefs face) to bragging to her guests about her fibre optic rug. Tracy Ullman is fantastic in this movie, as is the whole cast. 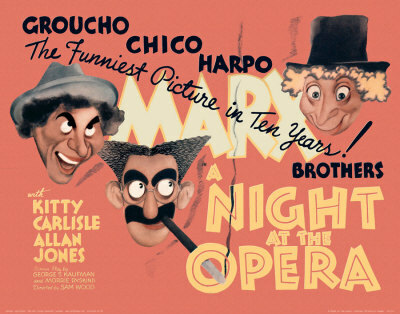 The second picture we watched was The Marx Brothers A NIGHT AT THE OPERA. Produced by then Hollywood wonderkid Irving Thalberg at MGM, who were famed for their musicals, this is a very different but at the same time very familiar Marx Brothers picture. 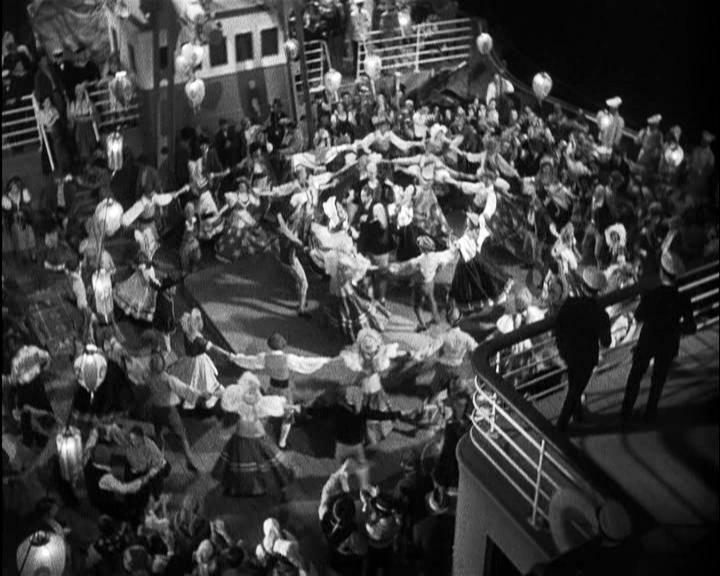 For a start, the musical numbers are longer and more lavish, Lau gasped at the choreography in the number below where circle upon circle of dancers spin in different directions to stunning effect. There is also a heightened sense of story in this film. As well as the Marx Brothers antics we have the story of Ricardo Baroni, an opera singer played by Alan Jones, struggling to be recognised as a talent and constantly in the shadow of the much revered Rodolfo Lassparri, played by Walter Woolf King. Baroni spends a good part of the picture fending of Lassparri who also has designs on his girl. The love interest is played by Kitty Carlisle who never had a huge movie career, only making 9 pictures. She does turn up in RADIO DAYS (1987) however, as well as being fairly active in both the theatre and opera. It should be noted that the Alan Jones part would usually have been played by Zeppo Marx, the straight man / romantic lead of the act. This was the first picture without him as he quit on account of his talents being under recognised. 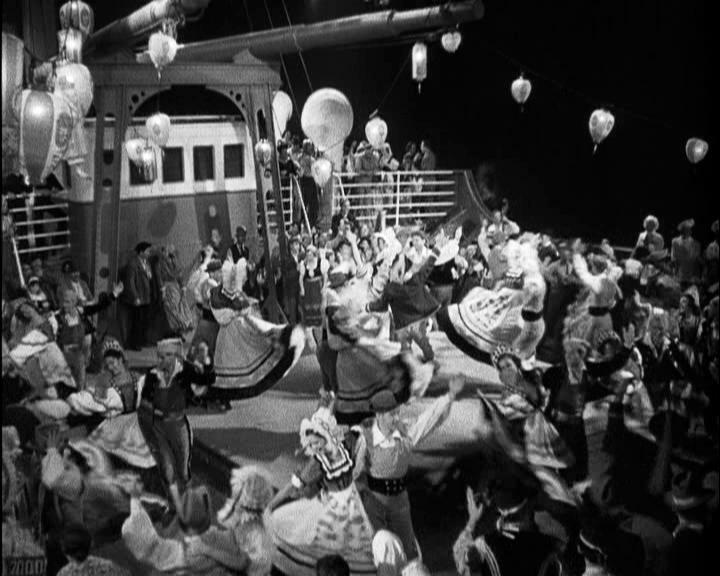 In spite of long song and dance numbers, the film moves at a good pace with The Marx Brothers given more than enough room to flex their comedy muscles. There are some magical exchanges between Groucho (Playing Otis B. Driftwood) and Chico (Fiorello) including the scene below where the two discuss Baroni’s contract. Chico is Baroni’s friend and manager trying to cut a deal with wannabe opera mogul Otis B. Driftwood. 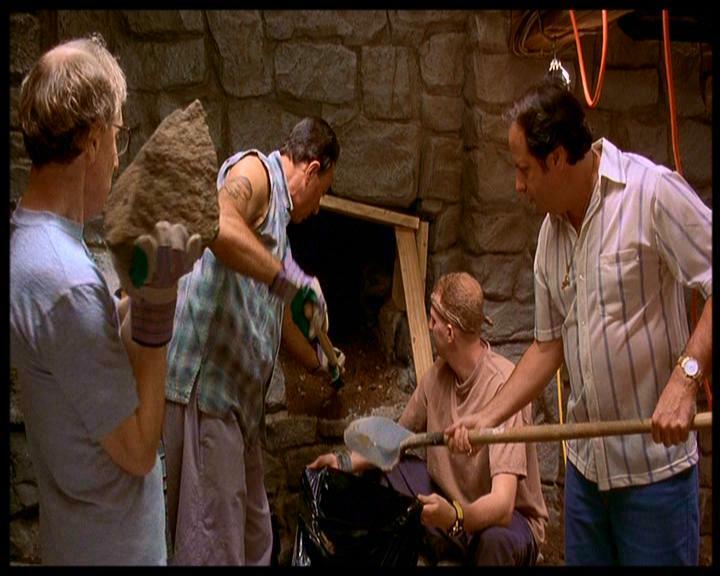 I can’t help but post another scene from this film, one of the greatest comedy moments in cinema history. Otis B. Driftwood has been given a less than palatial cabin for a trip to New York and has found Baroni, Fiorello and Tomasso (played by Harpo) stowed in his trunk…. it gets pretty tight in there. It seems like an age ago that the glorious cinematic jamboree that is the EIFF was in town. Browsing back over the last few posts I noticed that I’ve said ABSOLUTELY nothing about what was viewed. Ok, there was one post with the QUERELLE movie poster and the trailer for MAN ON WIRE but that’s about it. “What are you watching today” he asked in his usual enthusiastic manner. “I’m going to see Querelle” I replied, “I’ve not seen any Fassbinder before”. “Well THAT’S a baptism of fire” he laughed fiendishly, knowing only too well what I was letting myself in for. More on that in a not too distant post….. I’m trying to find scenes I can show. One of the benefits of the EIFF pass is entry to the delegate centre “videotech”…. it sounds like an amazing electronic wonderland where you can re-enact THE LAWNMOWER MAN whilst listening to endless Gary Newman loops. Alas, it’s not nearly that cool. It is, in fact, a room full of small booths with really uncomfortable straight back chairs (the type they had in assembly) and 20in monitors WAY below eye level that are hooked to a dvd player and a pair of pretty decent sennheiser earphones. In this battery cinema one can select any film showing at the festival and watch it at their leisure. Despite the harshness of the viewing facilities, the staff are more than welcoming and it’s pretty neat getting a free reign on the festival programme. The one and only time I went in, I had the pleasure of taking in TRAIL OF THE SCREAMING FOREHEAD which, as we’re advised at the start of the picture, is presented by the great Ray Harryhausen so already you have respect for it. i’ll not explain too much as it’s better, like I did, discovering it knowing NOTHING. Watching this trailer will have you clambouring for tickets like horrified New Yorkers fleeing the massive feet and fists of Kong himself. 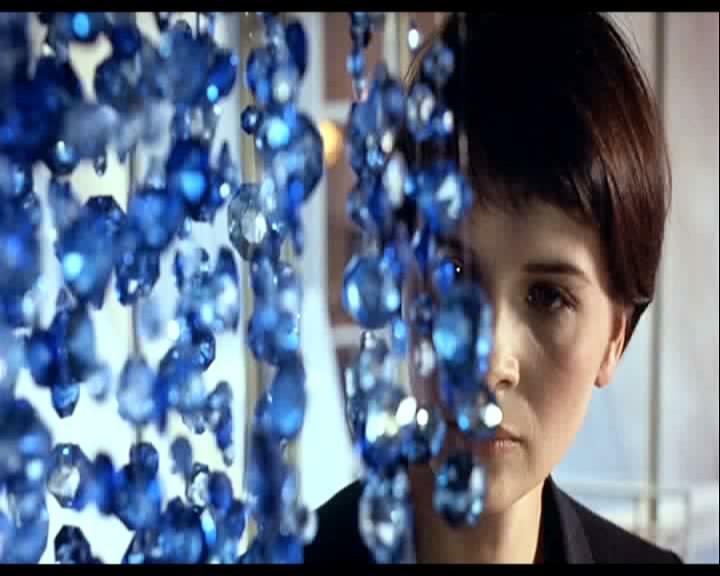 And so Kieslowski’s THREE COLOURS trilogy draws to an end with what is many peoples favourite instalment. I’m torn, having watched each of the 3 films twice, as to which one leaves the biggest dent on my cinematic pleasure receptors. Each film has something completely independent of the other two but at the same time they are strongly linked by the most subtle, yet powerful of methods. This is what, for my mind, makes Kieslowski a Bergman of my generation. His seemingly effortless ability to create a cinema that is artistic without pretension, opinionated without cliché and beautiful without sentiment, elevates him above the vast majority of his peers. Out of the three films, RED is the more complex in terms of storyline. 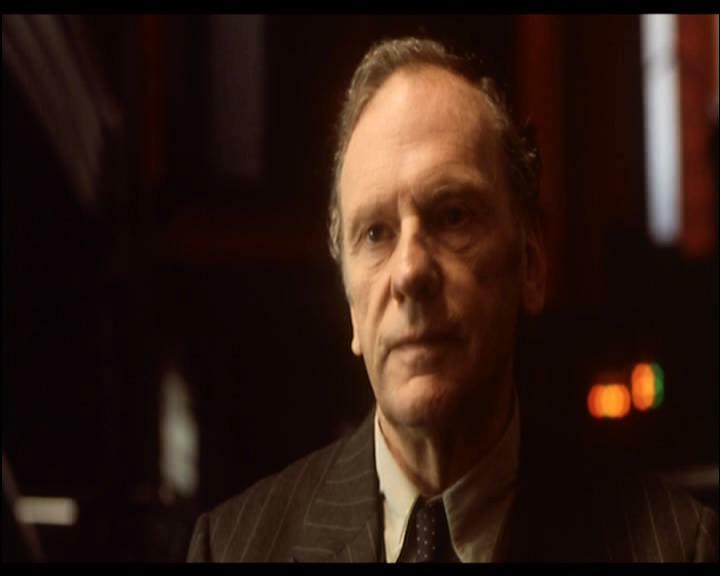 We have a juxtaposing between 2 very different relationships that is hinged by the character of Joseph Kern (Jean-Louis Trintignant) who is an ex judge. His post retirement time is spent listening to the phone calls of those around him and from the solitude of his own prison, he is unknowingly involved in the lives of so many (he is never seen interacting with the outside world, other than when he is taken to court by the locals). Although the theme of RED is “fraternity”, and is probably the most easily recognised of the three, there are tangents exploring the effect that luck, or fate has on the existence of everyone. 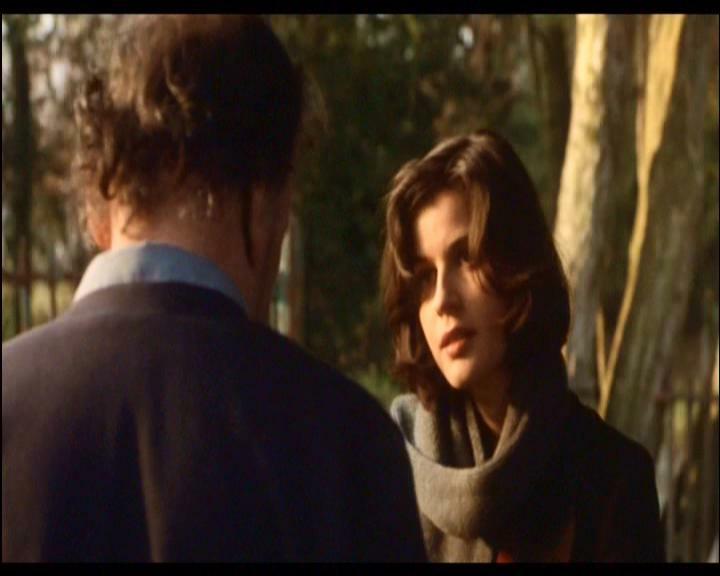 Irene Jacob is superb as Valentine Dussaut who herself, is trapped in a telephone relationship. Her many conversations with her distant lover displays a connection of relative unrest, there is no tenderness, no affection. It is ironic that Valentine finds companionship with a man spying on others whose relationships are being conducted on the telephone. The meeting of Valentine and Joseph is again, born of a lucky or more probably unlucky situation, she knocks over his dog. 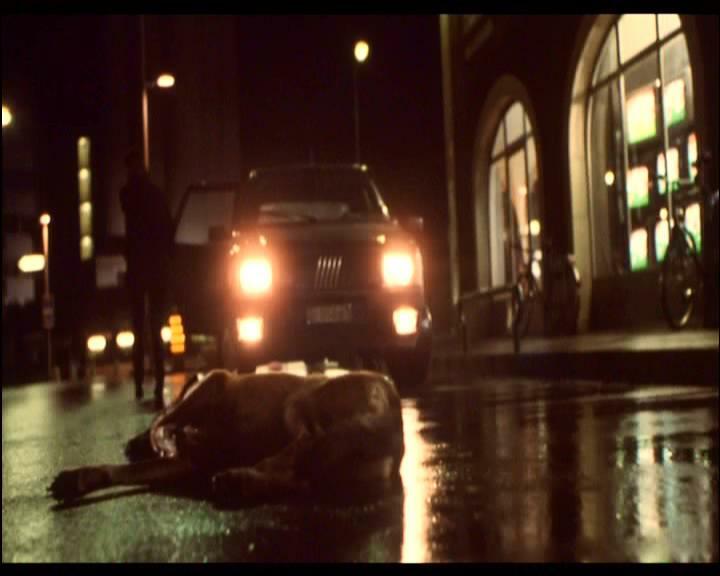 I have to say, the performance of the dog in this scene is superb. The way it lies limply in the road whimpering (granted, the whimpers could have been added in post) is incredibly life like. The initial interactions between the 2 uncomfortable but they develop an understanding and connection that is deeply touching. Joseph has nothing other than the conversations he can never join in on, and Valentine has an overbearing lover in another country who can offer her nothing in the way of one to one affection. In each other they find a little of what’s missing in their lives. Completely honest performances make this coming together believable and gives the end of the picture a powerful climax. Running alongside the story of Joseph and Valentine is that of Auguste and Karin. Auguste lives across the street from Valentine and their paths cross without any real personal interaction, Valentine notices he has left the headlights of his jeep on for instance. Karin runs a personal weather reporting call service which is listened to by Joseph. The subtleties of these connections are brought together in the last act of the picture but, never being one to spoil things, I’ll leave that for to find out for yourselves. After watching WHITE this morning I did a little research to see what the general feeling of the picture was, too see how it sat alongside my own. The general concensus is that, compared with BLUE, WHITE is conventional, simplistic and straight. There’s something in this argument but I think it too easy to write this part of the trilogy off as the runt brother to BLUE and RED. It is surely the case that the bookend films are more abstract and artistic in their execution but it should be considered that the WHITE picture deals with equality; the very thing mankind is worst at. Realising and accepting this makes the direct approach of the film not only easier to take, but allows it to sit very nicely as a contrast against the other two. That is not to say the film is flawless of course. We start in Paris with Karol Karol (Zbigniew Zamachowski) stumbling his way to an appointment, we soon learn that it’s a divorce hearing but before we do, we are given a piece of metaphoric information (via a passing pigeon) that indicates how the proceedings are going to go, see below. It quickly becomes apparent that the differences between the couple (Karol has been unable to consummate the marriage) are irreparable and that this is, most definately, the end of the road for them both. Dominique (Julie Delpy) is great in this scene, portraying a coldness towards her husband that, if you’ve ever been on the receiving end of a “dumping”, is right on the money. Oh, we also find out in this scene that Karol is polish and Dominique, a native of France. It’s a very important detail. It is this scene and the scene in the hairdressing salon that leads some reviewers to a conclusion that the film is misogynistic, I disagree with this angle. It is the case that Dominique disappears from the picture for the whole of act 2 but her presence is always felt. She is the catalyst for everything Karol does and reference is constantly made. Whether it be the bust that Karol steals bearing similar features or phone calls made in the dead of night, she is always there, driving Karols actions and feelings. It may well be that we do not get as complete a picture of Dominique as we do Karol, but that is not the equality we are dealing with here. In order for equality to be established, or Karols’ interpretation of it, we must stay with him as he is the one, in his own mind, who has been wronged. The point of Dominique being portrayed as cold is correct but it works as she is the one ending the marriage so therefore, will be the party who seems distant and devoid of emotion. It’s how things work in the real world and I don’t think it missrepresents Dominique as a person. Things go from bad to worse for Karol as, soon after the unceremonious rejection by his wife, his bank accounts are frozen, he is rendered homeless and, after breaking into his ex wife’s salon for a sleep, is framed for arson (she sets fire to the curtains and indicates she’s phoning the cops) when she finds him there. This is the most questionable scene in terms of motivation, it just doesn’t make sense and leads to nothing. It is at this point, though not yet his lowest, that Mikolaj discovers him in an underground station. This is quite a nice “meet cute”, Karol is playing a Polish song on the paper and comb to try and earn a few francs when Mikolaj recognises its Polish origin and, being Polish himself, befriends the down on his luck countryman. I’ll not go into what happens in the last half of the picture as it really should be seen. Lovefilm are excellent at sending things in order so get it on your list, or buy it, or steal it…. Whatever you see fit. The scene below shows Karol “arriving” back in Poland having decided, with Mikolaj, to find other means of getting onto the plane. It never quite went to plan. I attended a very nice Krzysztof Kieslowski double bill at the Cameo Cinema in Edinburgh a while back but there was something about it that bothered me. First up was the 1991 film LA DOUBLE VIE DE VERONIQUE which, as a first taste of Kieslowski was incredibly interesting. The choice for the second half of the afternoon’s programme was quite baffling, they decided to show THREE COLOURS: RED, which of course, is the last film in the THREE COLOURS trilogy. Now maybe it’s just me, but I think showing the last film in a trilogy as an individual piece, within a double bill that doesn’t include the other films is just plain odd. Those of us in the audience who hadn’t been exposed to any of the films before were now in a state of confusion, as if we’d just read the last page of a book, first. Luckily, the final chapter of this trilogy is a million miles away from the endings of say, the BACK TO THE FUTURE or GODFATHER trilogies in that, with these examples, there is a wrapping up of a common storyline that has developed over 3 films. Although it’s not so much the case with THREE COLOURS There is, however, a conclusion, an intertwining of character fate that would have been better served having seen the first 2 movies. So back to the start I go…..
THREE COLOURS: BLUE is the first of the trio of films that follows the order of the French flag, Blue White and Red. This is a stunning, contemplative start that sees Juliette Binoche play Julie, a woman of inner strength who is forced to deal with the grief of losing her composer husband and daughter in a car crash that the protagonist herself, survived. 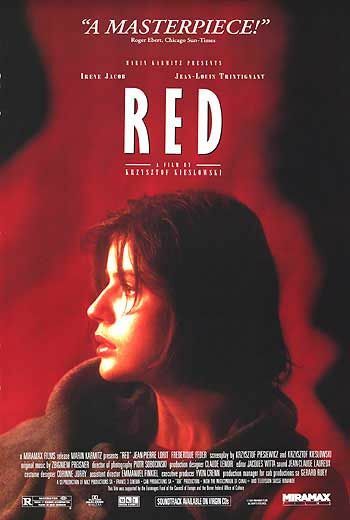 Kieslowski crafts the mood of this film so completely that when watching it, you find yourself immersed in the plight of Julie as she rebuilds her life. She is in all but 1 of the scenes which pulls you into her world although when there, you get the feeling she’d rather be alone. Solitude seems to be a comfort for Julie with many long scenes involving only Binoche, the melancholic score and Kieslowski’s aesthetic lending weight to a state of mind, a raw emotion, a memory or an intention. 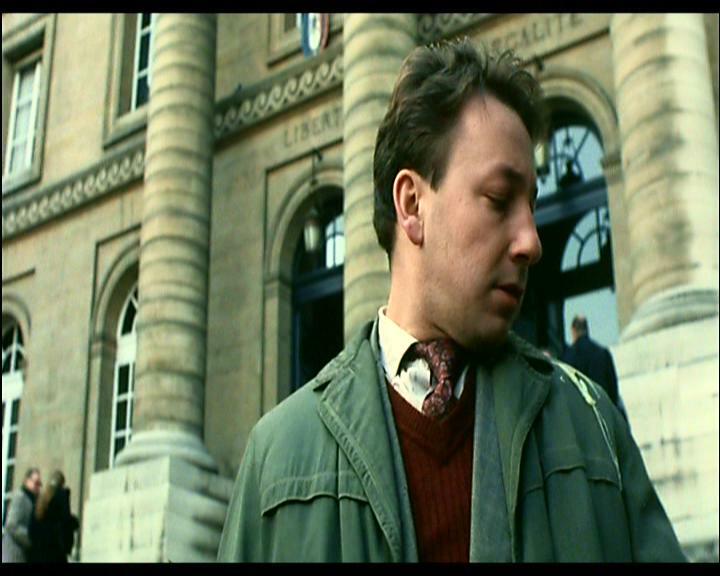 Her lover, friend and eventual collaborator Olivier (played by the late Benoit Regent) drifts in and out of the story but plays an important part in the journey she embarks on. This journey is beautifully photographed by Slawomir Idziak who has worked on a wide range of stuff including BLACK HAWK DOWN and HARRY POTER AND THE ORDER OF THE PHEONIX. The score, which is like another character in this film is provided by Zbigniew Preisner who’s credits include another of my favourite films EUROPA EUROPA. 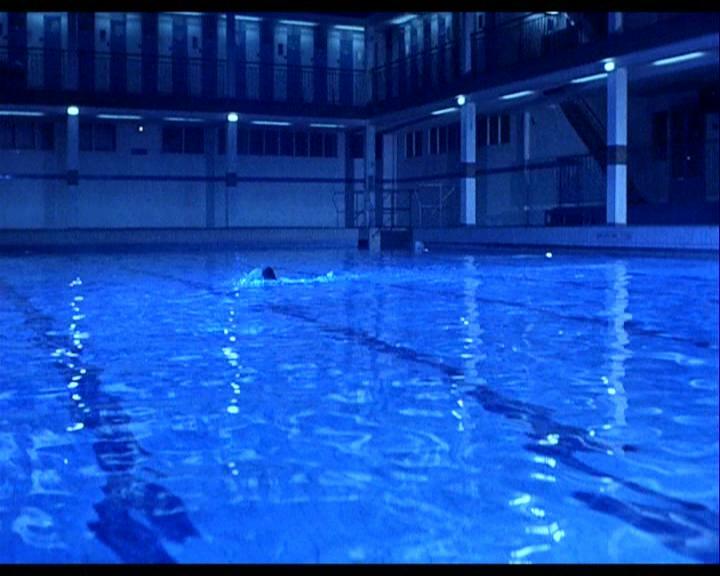 The following scenes demonstrate perfectly the feeling of the film. Julie looks at a piece of score written by her late husband, look out for camera tracking along the notes, as each note passes, it drifts out of focus and disappears. The note of the moment is important and sharp with the past and future being unclear, very much Julie’s mindset at that time. The scene below is a good example of the solitude and fragility of Julie’s existence. Within that fragility however is a strength that comes from within. The use of music here is masterful combined with light and an actress giving so much with so very little.